I’m delighted to be part of the Australia Day Book Giveaway hosted by Book’d Out and even more delighted to be giving away a copy of my new book, Running Against the Tide. It won’t be in bookstores until Tuesday 1 March, so you’ll be able to read it before anyone else. To enter, contact me using this form before midnight Wednesday 27 January (AEDT) and a winner will be chosen at random. Entry is open to Australian and New Zealand residents only. Wishing you lots of luck with Running Against the Tide! And have a lovely long weekend. Thanks Christy. Happy Australia Day! Congratulations on your last book – I work in the book department of a chain store and it was very popular with our customers. We had a lot of good feedback on it too. And Congratulations and best wishes for your up coming new release. I didn’t realise you had a new one coming out so soon – some of my customers will be very pleased to hear that you do. Thank you for the opportunity to enter to win a copy; I read the blurb of it and sounds fantastic. Hi Jess, that’s so great to hear that Claiming Noah was popular with your customers. I hope the next one is too. Thanks for letting me know. Would love to read this book Amanda, before anyone else. 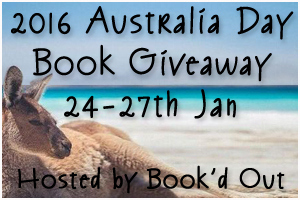 I love the Australia day book hop, it adds so many books to my wishlist! Me too, Wendy! Such a great idea. Thanks Amanda, and happy Australia Day to you too! (Great name by the way). Congratulations on your books, Amanda. I really enjoyed Claiming Noah. Thanks Elizabeth. I saw that you released a new book recently – hope it’s going well so far. I definitely am Nat, hope you are too. Oh wow, just blog hopping my way through the list and I had no idea when I clicked on your name you’d be the author of Claiming Noah, sorry no offence to you, you’re a new to me author, I have your book on my shelf, I happened to see it at a Salvo’s store when I was hunting for books and I thought it looked interesting and it’s so brand new and shiny I just had to have it. Every time I walk past my bookshelf it’s one of the first books I notice I swear it wants to be read. So it’s practically on top of my TBR pile now. Great giveaway and happy release day when it comes out in March, Amanda! Thanks Sue, and I hope you enjoy Claiming Noah when it makes it to the top of your TBR pile! Congrats on you latest release! Hi Amanda, thanks for the great giveaway! Running Against the Tide sounds like a great read! Thanks Amy. You made it with an hour to spare! Hope you had a great Australia Day. I know I’m pushing it with only minutes to spare but after running around like a headless chook, I just remembered I definitely wanted to post something on your site. So Congratulations on the book “Running Against the Tide” and I look forward to reading it and adding it to my collection of Aussie Authors. You just made it Michelle! Good luck.